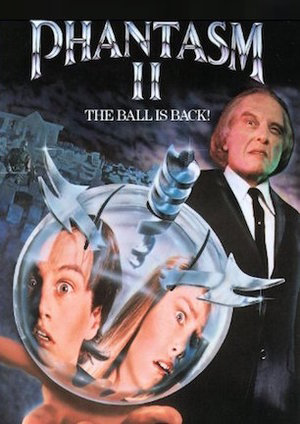 The original Phantasm was a delightful, bizarre oddity. Despite having a cliffhanger ending, arguably it didn’t particularly need a sequel – but a decade later the sequels started coming. Eventually it would have four followups – two made with a budget, two made without. Let’s cover the first two, which each in their own way gave a big budget (or at least a “not completely miniscule” budget) take on the premise. Attempting to track him down are Reggie (the returning Reggie Bannister) and Mike (this time played by James LeGros, and no longer a kid thanks to the passage of nearly a decade). Mike spent 7 years after the end of the last movie in a mental hospital – also called Morningside – and Reggie forgot all about the Tall Man incident (in a “supernatural amnesia” sort of way, not a “choosing to ignore it” sort of a way). Not long after Mike gets out of the hospital, Reggie is woken up to the truth in absolutely brutal fashion, and the duo go on an epic road trip around Oregon to try and track down the Tall Man, passing through the various ghost towns he leaves in his wake. 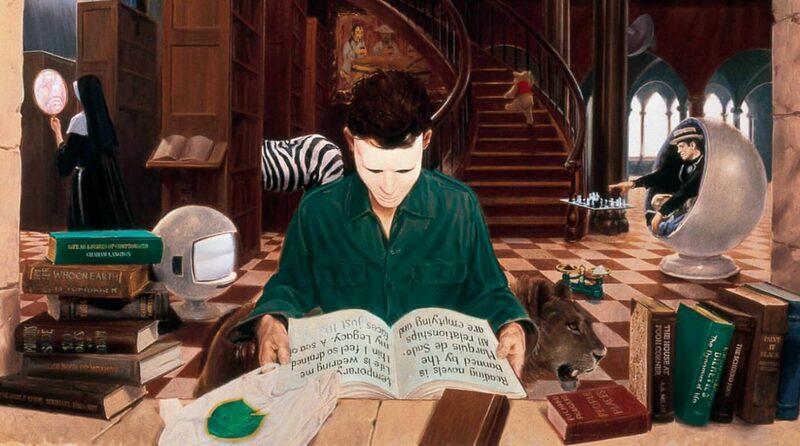 As hinted at obliquely in the previous movie, Mike has latent psychic potential, and in the intervening years he has come to share a telepathic bond with Liz Reynolds (Paula Irvine) – he dreams of her, she dreams of him, and she also dreams of the Tall Man and Mike’s encounters with him. When Mike and Reggie find their way to the small town of Perigord where she lives, they know that the Tall Man must be nearby – he’s just taken Liz’s grandparents, in fact – and the stage is set for another confrontation to try and stop his swathe of destruction once and for all. Before he landed a surprise hit with Bubba Ho-Tep, Don Coscarelli was mostly known to horror fans as the mastermind behind the Phantasm series. 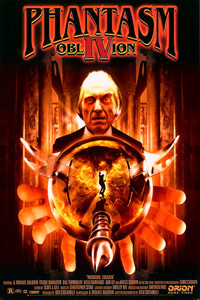 With the original film coming out in 1979 and various sequels emerging in 1988, 1994, and 1998, for well over a decade the final film in the series languished in development limbo as Coscarelli and his associates tried in vain to find funding for it. 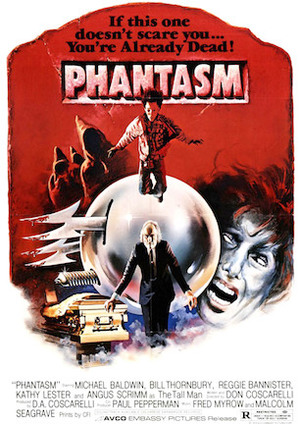 Finally, to everyone’s surprise and joy, a fifth movie was completed in 2014 and emerged in 2016, with Coscarelli taking 2015 to supervise a 4K remastering of the original Phantasm. 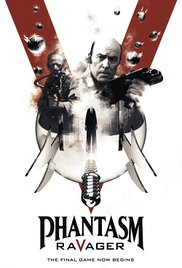 (Arrow Video’s Phantasm boxed set lavishly presents all five films plus numerous bonus features on Blu-Ray.) The time’s never been better to both revisit the classic original and its sequels and to see if the fifth movie represents a satisfying conclusion to the saga. We open with the death of a certain Tommy (Bill Cone) during a rendezvous with a mysterious woman (Kathy Lester) in the graveyard at the Morningside funeral home. The next thing we know, biker dude Jody Pearson (Bill Thornbury) and his ice-cream van driving best friend Reggie (Reggie Bannister) are exchanging commiserations at Morningside as they await Tommy’s funeral. Jody’s left his little brother Mike (Michael Baldwin) at home because he doesn’t want to distress him unduly – not least because there’s already been enough death in the kid’s life, with their parents having died simultaneously two years ago and been interred at Morningside themselves – but Mike decides to come along anyway and watch from afar. Both Jody and Mike hear strange noises on the grounds of the funeral home, and whilst he’s observing the funeral from the bushes Mike sees the Tall Man (Angus Scrimm), the mysterious owner of Morningside, picking up Tommy’s coffin and taking it away under one arm – as though it were light as a feather! A visit to a psychic friend of his and a series of disturbing experiences in Morningside itself convinces Mike that something’s up, and soon he’s got grotesquely compelling evidence to bring Jody and Reg onside – leaving the three of them determined to get to the bottom of what the Tall Man is doing with all of those corpses. The answer involves demented dream sequences, unnaturally strong dwarves, and the iconic flying balls that patrol Morningside at night.